It’s getting hot out, so I’m shaking up a Trader Vic’s Mai Tai. Before I get into the recipe there are a few things we should probably discuss first. The Mai Tai comes with its fair share of drama. 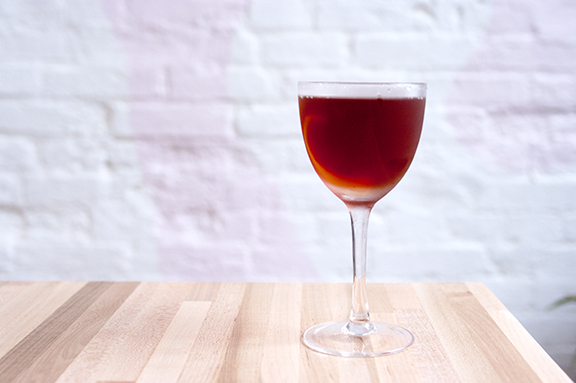 First, this classic cocktail has been slaughtered so many times that most patrons wouldn’t recognize the classic version if you put it down in front of them. You know what I’m talking about. That neon pink concoction dominated by bottled pre-mixes, canned pineapple juice and an umbrella. Yeah, nothing like the classic. Then there’s the age old argument regarding who was the original inventor of the Mai Tai. Some say Don the Beachcomber and some say Trader Vic. If you want to read more about the history of the Mai Tai go here. 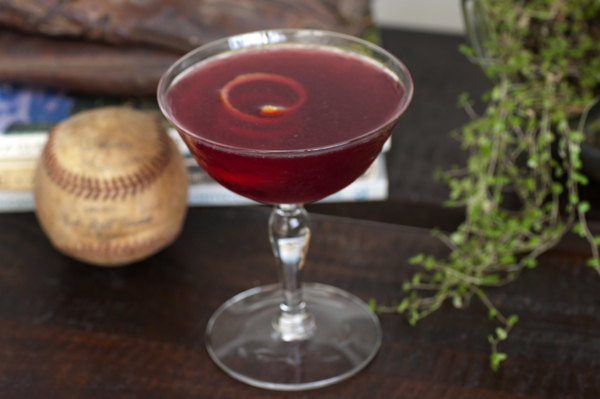 I’d rather drop all the drama and get to the part where we make this time-honored drink. Add all ingredients to a cocktail shaker, except the garnish. Shake and strain into a rocks glass filled with crushed ice. Garnish with fresh mint and a lime if you fancy that. You can also float some dark rum on top of the cocktail. Truth has to be told: your recipe is the 3rd iteration of the drink by Vic Bergeron; due to the non-availability of the original rum, Wray & Nephews 17 years old. I like to use a very precious old Jamaica rum for it and skip the Rhum. Appleton 21 years old is fantastic — less expensive and maybe even more suitable [but far less available] would be Coruba 18 years old. The original Mai Tai is also calling for orange curaçao [Cointreau could be seen as high quality triple sec curaçao], and a little bit candy rock syrup — which is an oversaturated sugar syrup. In the original recipe, the used lime shell was used as garnish, as well as a piece of fresh pineapple [hence the confusion with the pineapple juice], mint and a cherry [I suggest an amarena cherry]. I was born in 1944, coincidence on year Mait’ai was invented! I had my 21st Birthday at Trader Vic’s and I’m coming back for the original Mait’ai on 2/19 with friends to celebrate my 70th birthday then I fly to Hawaii next morning. How fun is that! And… (Drum roll) I think a classmate of mine from Miramonte High married Mister Bougeron but I could be wrong, my maiden name is Carol Crosby. How Kewl is that! 1st hand experience on the original Mait’ai. I love the Trader Vic’s story and I love Mait’ai’s and I can never find a restaurant or bar that knows how to make it. My first Mait’ai was at the Elephant Bar in Sunnyvale, California. Perhaps they made it correct. Since then the ones I’ve ordered were not the same. I have the Trader Vic’s Tiki Party book and plan on making my own! Love your post! I’ll give you the best tip ever…in San Francisco go to the bar Smuggler’s Cove. It is the best rum bar in the world and they make the original version there, and can tell you the history of the drink and all the ingredients. Seriously a bucket list bar. Thank you for keeping an authentic Mai Tai alive. 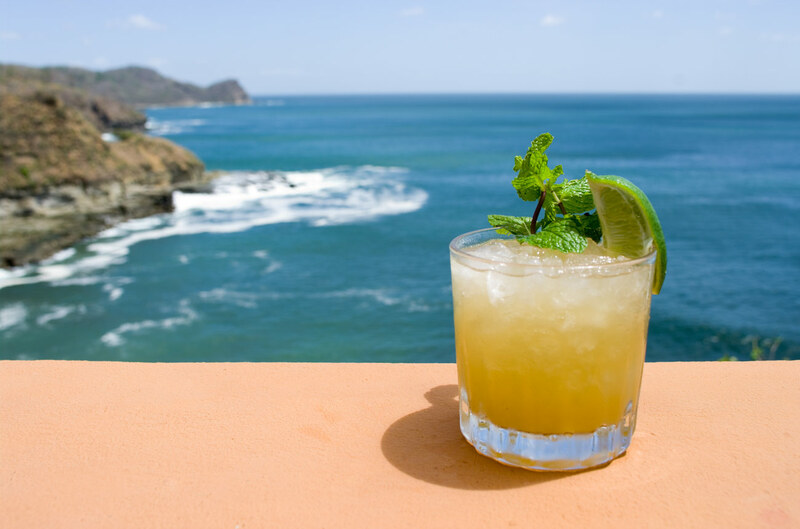 If you consider that one of the traditional ways to enjoy rum is with lime and cane syrup, the Mai Tai splits the sugar further into almond and orange flavors. This recipe demonstrates that the dollop of rock candy syrup used in the original can be left out by adding a half-dollop more of the other sweeties. Push that mint into your face and enjoy! Thanks Baffa! I will keep the Halekulani Hotel in mind if I ever make it down to Waikiki. Cheers. 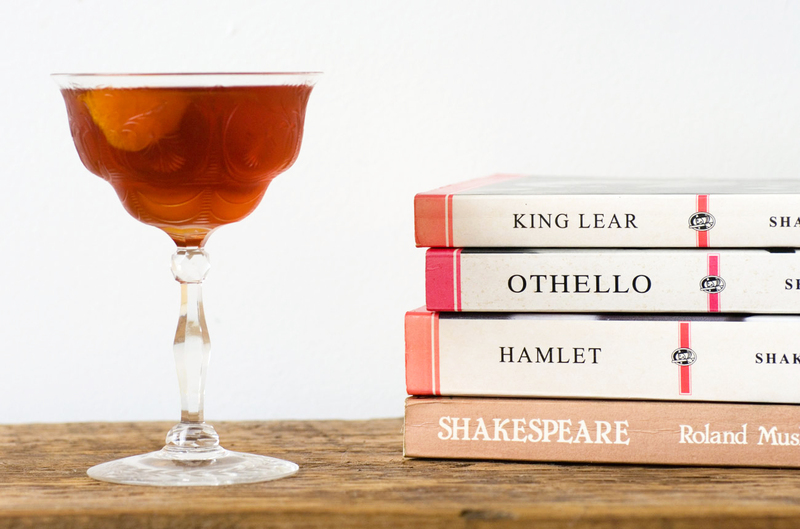 A great recipe; I made one close to this tonight (well, maybe it was a couple). I forgot the lime juice! I will remember next time. Thanks Herbert! The lime juice is a definite must-have. Cheers. Thanks for posting this. The first time I tried the recipe with fresh lime juice. Way too acidic for me but it could be the limes I was using. Second time around I used sweetened lime juice (bar mix type) and it came out perfect (to me anyway). I’m guessing the ‘sweetened’ part mimicked the rock candy in other recipes. I’m using Small Hand Foods orgeat syrup as it had lots of good reviews. Had to order it online as most local liquor stores were like ‘or-what?’. Also using generic orange curacao but will try with a better triple sec and rum next (using Mount Gay which doesn’t have the ‘vanilla’ I think the recipe calls for). Side cars anyone?? Wife likes these when I have a mai tai. Now I know what that 40’s looking bottle of Neisson Rhum is for… Makes this drink so weird, so funky, and so so good. Thanks for posting this; I end up here every other month to look up the ratios (though I like a touch more sweet) thank you! Been sampling various recipes, this is the winner. Hi!! We drink mai tai’s at a tiny Polynesian joint in northern IL (I know ) that has been around since the 40’s. They use a secret recipe and their version is AMAZING…served with a stick of rock candy and lime, no mint. Your recipe seems like it would be close to theirs. SUPER excited to compare :-). Thank you for posting!! !